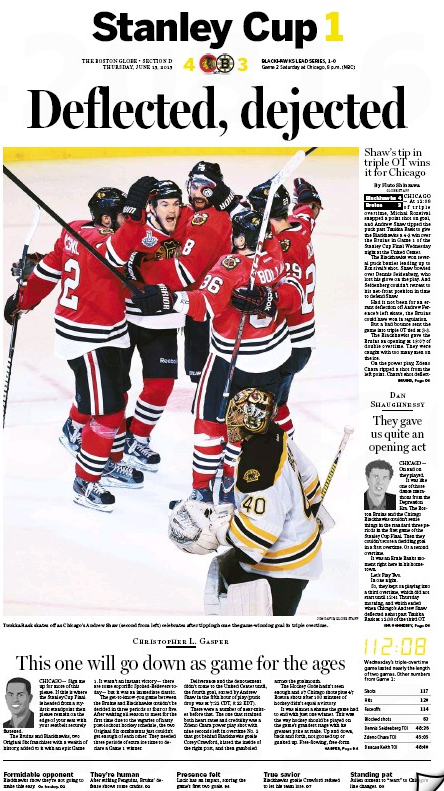 After the hardreading staff watched last night’s fabulous triple-overtime Stanley Cup final between the Chicago Blackhawks and the Boston Bruins, we trundled off to bed confident that there would be excellent coverage in today’s local dailies. But what did we find on our doorstep this morning masquerading as a daily newspaper? 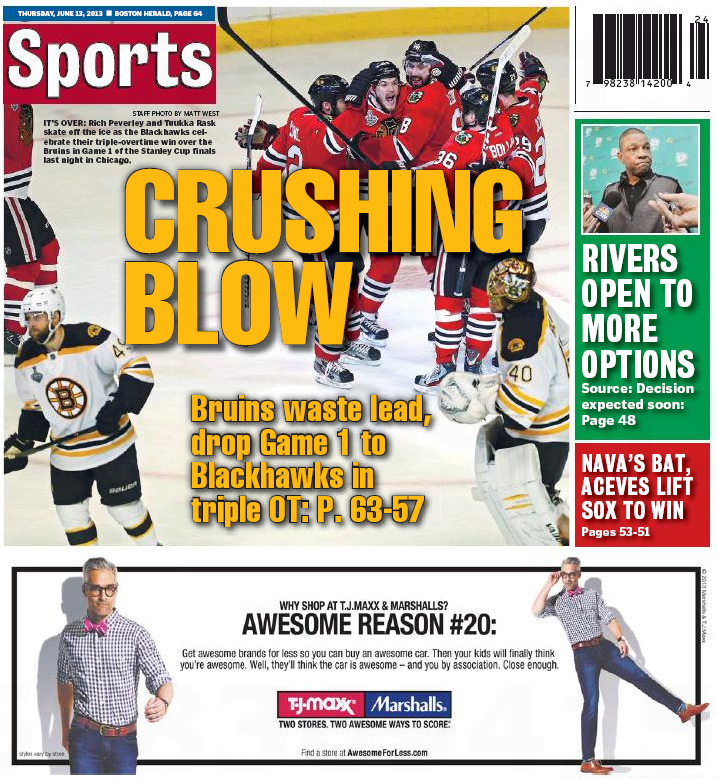 The Boston Herald one-star edition. 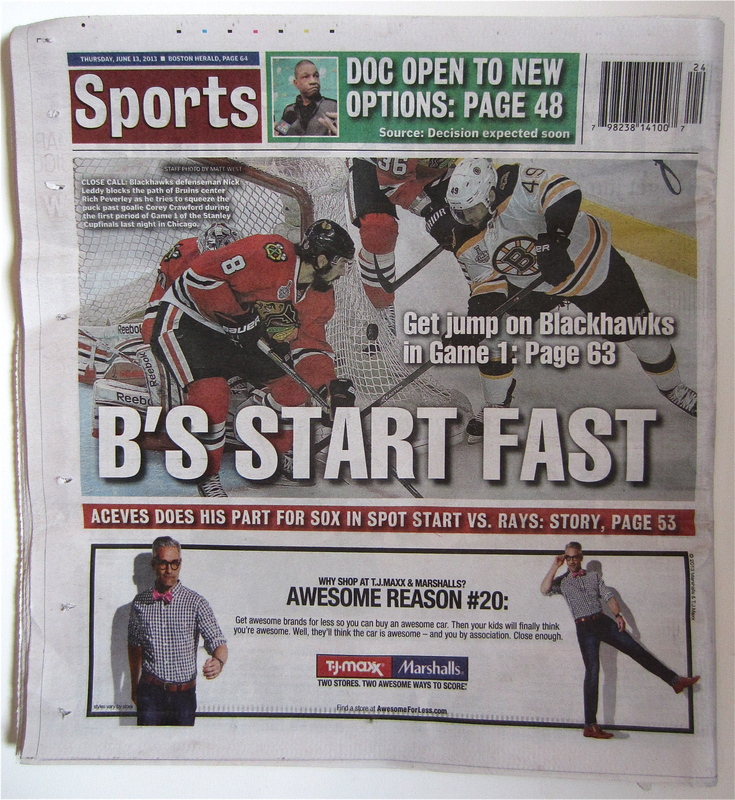 The heisty local tabloid’s coverage spanned an entire two periods, which turned out to be roughly 40% of the game. BUT WE DIDN’T GET THE THREE-STAR EDITION, DID WE? 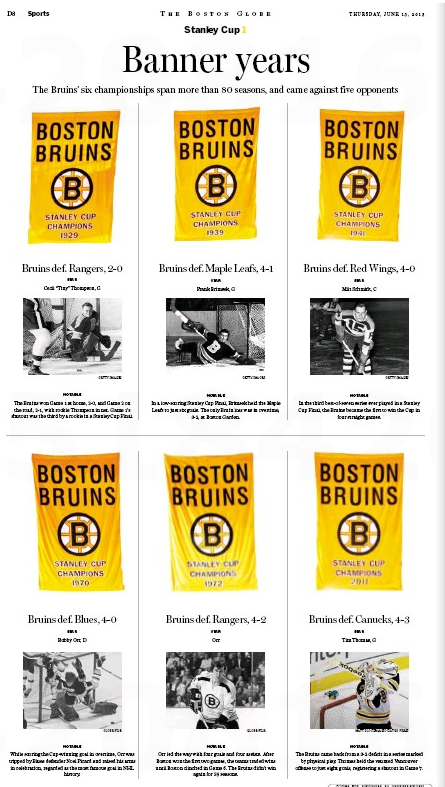 Meanwhile, the Boston Globe that plopped onto our front porch had a separate section with eight – count ’em, eight – pages of honest-to-God coverage. 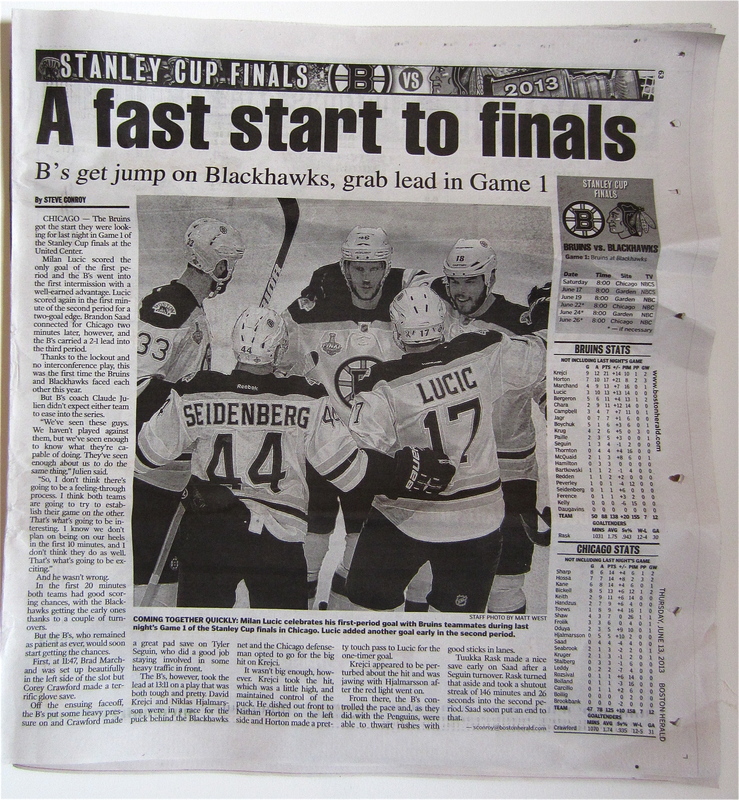 Yeah, we know – the Herald subcontracts the Globe’s printing presses so the stately local broadsheet has the advantage. But maybe the Heraldniks should put on some big-boy pants and find an arrangement that doesn’t force them to print a first edition at 11 pm the night before. If not for their own sake then at least for the few, the proud, the 17. This entry was posted on Thursday, June 13th, 2013 at 8:54 pm and is filed under Uncategorized. You can follow any responses to this entry through the RSS 2.0 feed. You can leave a response, or trackback from your own site.